Hurtling into 2017, Brix & The Extricated will release their highly anticipated debut single and fierce statement of intent ‘Damned for Eternity’ on 12th May on Blang Records. 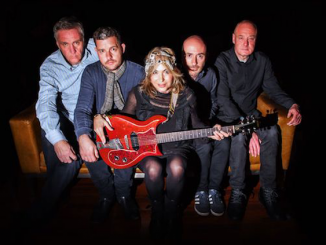 Formed by the visionary Brix Smith Start (vocals / guitar) and legendary bass player Stephen Hanley, Brix & The Extricated also features Paul Hanley on drums, which reignites the Hanley Brother powerhouse rhythm section. 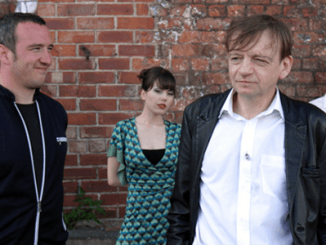 The addition of Steve Trafford on guitar has brought together these influential, former members of The Fall. Completing the line up is hugely talented Irish guitarist Jason Brown. 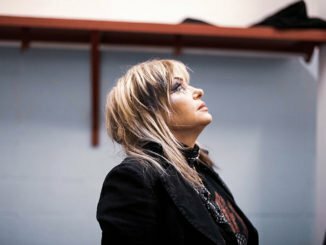 The band originally formed in 2014 to reclaim classic songs from The Fall back catalogue that were written by members of the Extricated and had not been played for 30 years. Once in the rehearsal room new songs were quick to follow and formed very naturally. They began slicing these into live performances and the response from the audience blew them away. Increasing pressure from old and new fans alike to record fresh material spurred Brix & The Extricated to head into the studio, where they laid down 10 tracks. As anyone who has read Brix’s book ‘The Rise, The Fall & The Rise’ will know, Brix is a warrior woman one moment, and the next she’s stripping off her armour and laying bare her open wounds for all to see – and this is precisely what she’s done on the resulting album. On lead single ‘Damned for Eternity’ – which is a two minute and 15 second punch to the gut of filthy garage power, unrelenting, to the point, and highly infectious – Brix vehemently spits out her lyrics over savage sliding power chords and a rumbling bass. The as yet untitled album will be released later this year. 2017 has already seen Brix reaching a new audience with her fantastically received BBC 6Music show (sitting in for Guy Garvey). And now with this sonic juggernaut of an album that infuses hypnotic brutality with sunlight, harmony, hooks and riffs, Brix & The Extricated will not only enthrall and delight their current fans but they are sure to win an army of new ones. Stephen Hanley (The Big Midweek – Route Pubs) and Brix Smith Start (The Rise, The Fall, And The Rise – Faber & Faber) have both written critically acclaimed, best selling memoirs, about their lives as musicians and their years in The Fall, which are widely available.